Joan Ockman is Distinguished Senior Fellow at the University of Pennsylvania School of Design and Visiting Professor at Cooper Union and Cornell University School of Architecture. 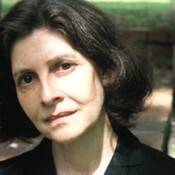 She taught for over two decades at Columbia University’s Graduate School of Architecture, Planning and Preservation, where she also directed the Temple Hoyne Buell Center for the Study of American Architecture from 1994 to 2008 and was responsible for a multifaceted program of lectures, publications, and exhibitions. Among her numerous publications on the history, theory, and criticism of architecture are Architecture School: Three Centuries of Educating Architects in North America (2012), The Pragmatist Imagination: Thinking about Things in the Making (2000), and the award-winning Architecture Culture 1943–1968: A Documentary Anthology (1993). Educated at Harvard and at Cooper Union School of Architecture, she began her career at the Institute for Architecture and Urban Studies in New York in the 1970s, where she served as an editor of the journal Oppositions and was responsible for the Oppositions Books series. She is currently completing a collection of essays titled Architecture Among Other Things, for which she received a Graham Foundation grant in 2015, which will appear from Actar next year; and is collaborating on a major new history of modern architecture, to be published by Thames & Hudson in 2020. View Joan Ockman's CV here.